If you make a donation via the Online Services, your information will be added to one or more of our supporter lists and databases, and you may be contacted about other Austin Women’s Health Center activities, news, and/or fundraising campaigns. If you join or opt-in to our activist network, you will receive informational updates and action alerts about reproductive health and rights issues. 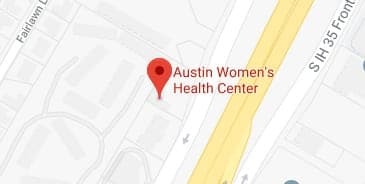 In addition, your information will be added to one or more of our supporter lists and databases, and you may be contacted about other Austin Women’s Health Center activities, news, and/or fundraising campaigns. If you view certain content on the Online Services, we or a service provider of ours may later display an advertisement related to that content on a different webpage that you visit through the Online Services or on another non-Austin Women’s Health Center website that has a relationship with the service provider.